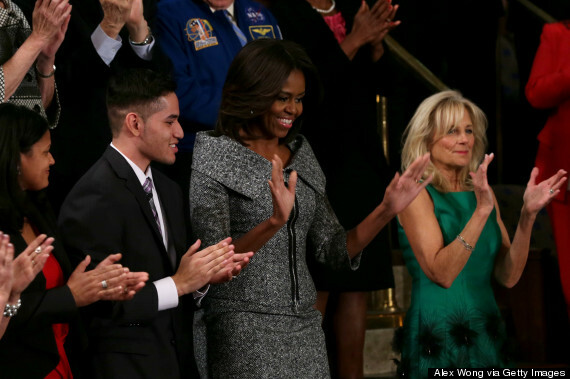 While admittedly the President gets center stage at the 2015 State of the Union, we're eager, as always, to see what the first lady is wearing. On Tuesday night, Michelle Obama stepped out in a Michael Kors skirt suit. The tweed design, which boasted a wide collar and zipper detailing, is a perfect reflection of FLOTUS' love for form-fitting, yet sophisticated frocks. You might also recognize the suit if you're a fan of "The Good Wife." And we've seen the first lady in Michael Kors several times before, including the first-ever White House Turnaround Arts Talent Show, the night President Obama was reelected and in her official White House portrait in 2013, just to name a few. 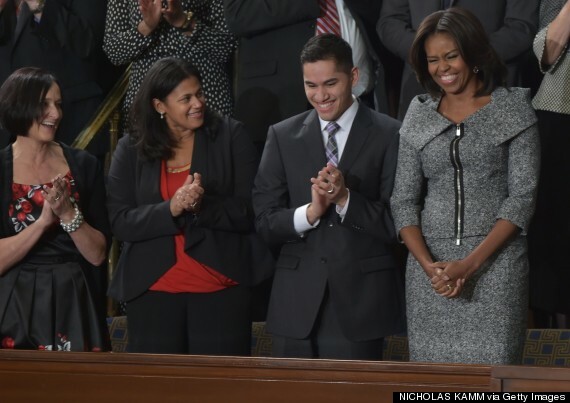 If you've been keeping track, Mrs. Obama's past SOTU style moments have also been stellar. 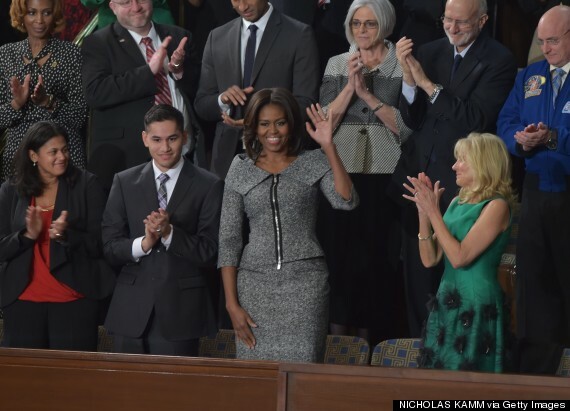 She has dazzled us in sparkles and gone bold in blue and of course we didn't know if FLOTUS could top the gorgeous forest green Azzedine Alaia dress from last year's SOTU -- but she definitely did. Check out pics below and tell us what you think!